Open to all students on campus! The minor boosts your job-ready skills and appeals to employers as all businesses need creative and innovative individuals-skills that are needed for 21st Century success. The minor gives you skills that can be applied for a lifetime as you change careers-flexibility, how to deal with ambiguity. You can also start and grow a business or work for an existing for-profit or social entrepreneurial business. Students across campus can benefit by adding a minor from the Bryan School of Business & Economics. We have the largest number of entrepreneurship courses in the State of North Carolina: more than 50 permanent courses in 26 departments/programs across campus. The minor has 2 options, a minor for business students (five courses) and a minor for non-business students (five courses) as well as the B.S. Entrepreneurship. Our program leads North Carolina in the number of courses and the selection across campus – be on the leading edge with your career! The academic entrepreneurship program has won 7 major awards, including the 2012 Best Emerging Entrepreneurship Program by the U.S. Association for Small Business and Entrepreneurship, the Global Consortium of Entrepreneurship Centers Excellence across the Curriculum Award, the Small Business Institute Best Practices Award for Creative Cross-Disciplinary Entrepreneurship, the Distinguished Education Program Award from the Academy of Educational Leadership, the Most Innovative Teaching Award from the Global Consortium of Entrepreneurship Centers, and our students placed 1st and 2nd in the U.S. for the Best Feasibility Plan! There is a required minimum of 15 semester hours. 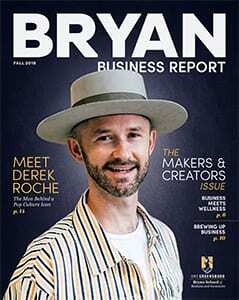 The Entrepreneurship minor, consisting of 15 s.h., is available for majors outside of the Bryan School of Business and Economics, as well as for majors in the Bryan School—other than Entrepreneurship majors—who are in good standing with the university. Minimum average GPA of 2.0 required in all courses used toward minor. The two paths are outlined below. The minor brings an entrepreneurial perspective to all major fields of study, either to start or grow a business or to be creative and innovative in any organization, profit or non-profit. To earn an entrepreneurship minor, a student must meet the following requirements in the order listed below. Once admitted to minor, student takes at least 3 s.h. within the selected profile. At least 3 s.h. from approved electives to meet minimum of required 15 s.h. B.A. in ECON majors, CARS majors, and STH majors should follow the non-business track. Students in the B.S. in ECON majors should follow the Bryan School track.